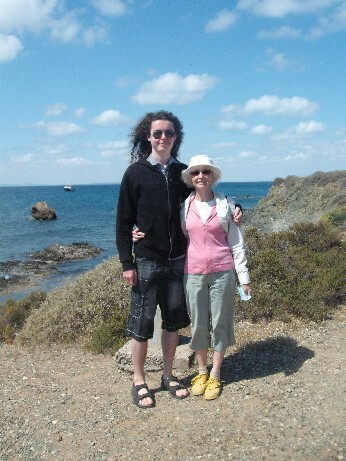 Hello everyone, have just got back from seeing my wonderful Mum in Spain who was 70 on Monday. Here she is the day before with her very tall and a bit windswept grandson, my lovely Jake .We had a day out with a boat trip to an island just off the coast where I indulged with lots of pretty pics – some which I shall reveal in the April Photo Scavenger Hunt post in a couple of weeks. 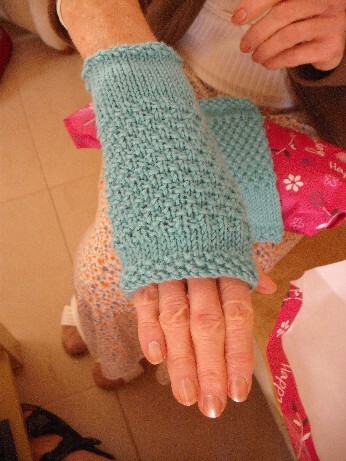 She had a lovely birthday and appreciated her presents which were a new camera, wool and these wristwarmers which you may remember from a while ago. I also introduced her to the delights of Ravelry so that she can get some lovely patterns to use up all the wool! She is a lovely hand model! 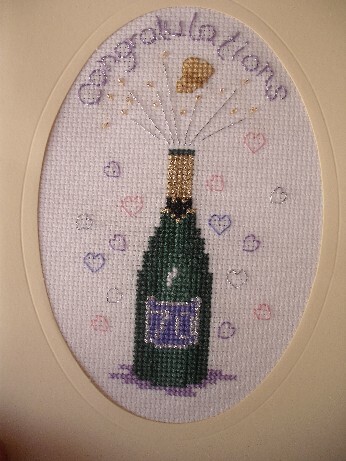 Her friend Eileen had stitched her this card for her birthday – isn’t this great? I spent a lot of the week knitting and reading my fab Benni Harper quilt mystery books – have finished four this week and am loving them. I am also making good progress on the pink Sublime baby cardi though the eyelets are still proving to be a challenge – have had to abandon the stitch markers as I was doing something peculiar with them which meant I was making holes! 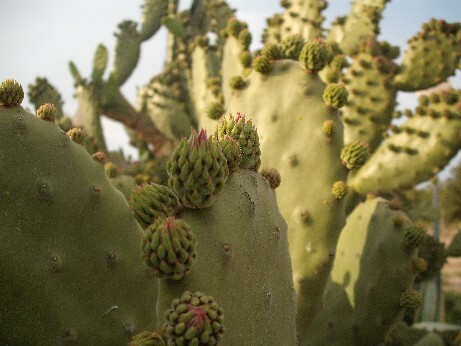 Had great fun with my camera again taking some more pics of the local flora and fauna – look at these wonderful cactus flowers. We are off for the weekend to do our first re-enactment show of the year at Bolsover castle so I am really looking forward to that, the weather forecast is very good for the weekend and I am really, really looking forward to camping, the first of many this year. I have had four barbeques this week (3 in Spain and 1 here) so am definitely in Summer mood now! I hope that you have a very lovely weekend and a very Happy Easter to you all – just remember that chocolate is definitely one of your five a day as it is a bean which is of course a vegetable! Thanks for visiting. Sounds like you had a wonderful time. Happy Belated Birthday to your cute Mum! It’s hard to believe it’s almost time for the scavenger hunt again — I better get with it! Eat more beans!!! Thanks so much for visiting – yes Jake does get a lot of nice comments on his hair and the girls do love it. My Mum is wonderful – she is more like my friend than my Mum and we have great fun together. That looks like enormous fun, so much work and detail in all of those costumes. 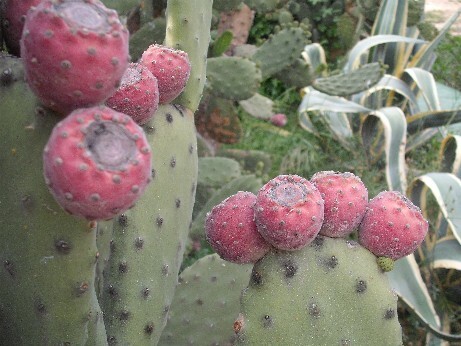 Thank you for recently visiting my blog and your kind comment, I am very glad that it will never be my first time craft fair again! I do it all again in a couple of weeks!